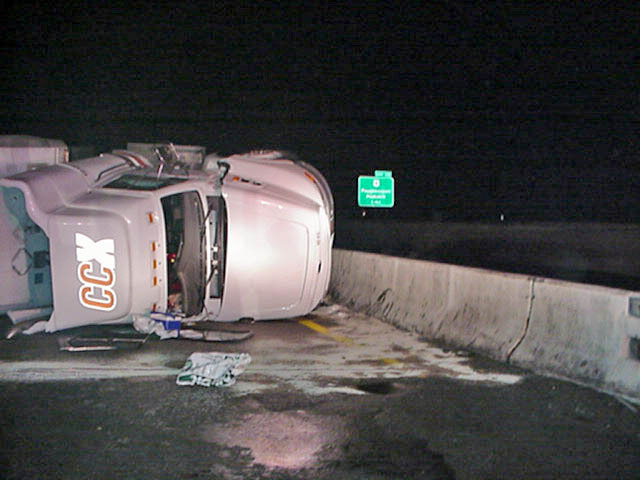 On Thursday, Nov. 18, 2004 at 2319, Rombout was dispatched to an auto accident on Interstate 84 Westbound near Exit 12. 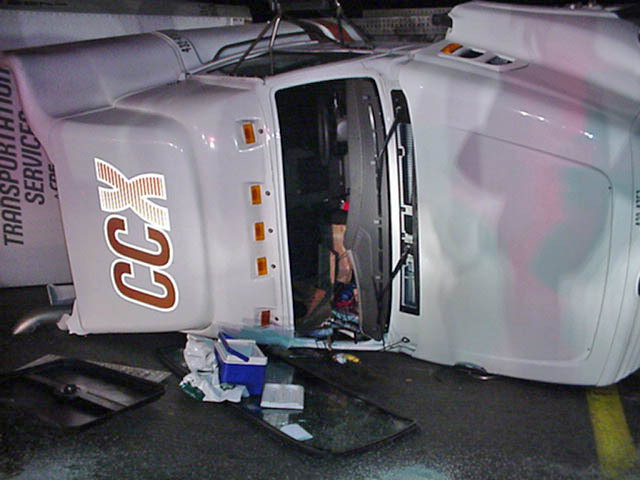 First arriving units found a tandem tractor-trailer on it’s side, partially hanging off the bridge over the former CONRAIL train tracks. Behind the the truck was a car with heavy damage. 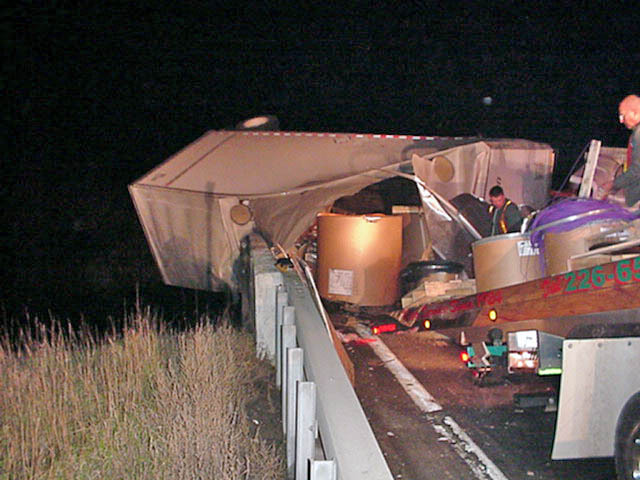 The truck was found to be carrying 67 pounds of Hazardous Chemicals (Paint Thinners and Solvents), which remained intact during the crash. 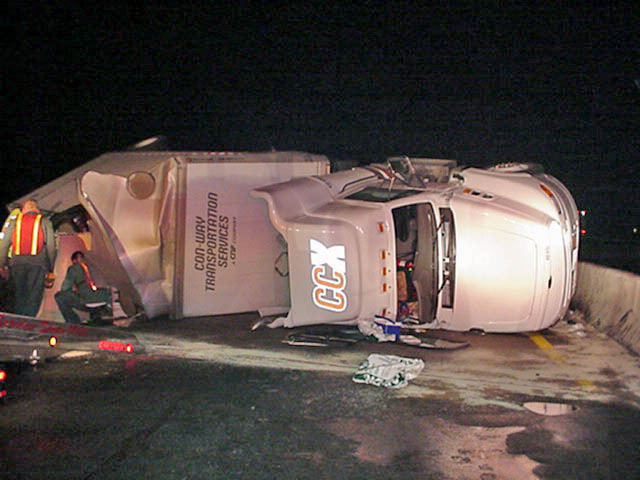 The drivers of the truck and the car were transported via Alamo EMS with minor injuries. Rombout remained on the scene until 0400 hours. At least one lane remained closed until 12 Noon on Friday.